Dyers Chamomile (Anthemis tinctoria), gives a soft warm yellow and with ammonia a rich almost golden yellow. Adding iron gives a wonderful soft green. 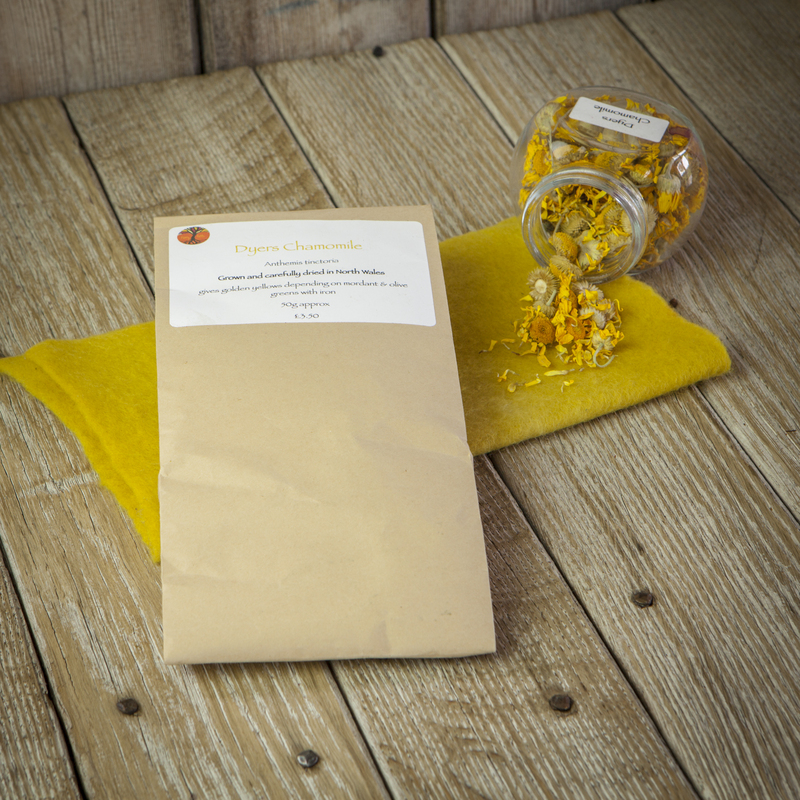 Dyers Chamomile is a nice dye to use to demonstrate with as the colour pours out almost as soon as you put the flower heads in water. Dyers Chamomile has been grown in either my or the Dye garden of Enys Davies, who also grows plants for me. Nothing artificial is added to the garden and the flowers have been dried. Dyers Camomile 2018 crop is isn process of being picked and dried but the combination of the beast from the east and the drought has drastically reduced availability and there is limited stock.